In 1888, Friedrich Menzer founded a chemical factory in the city of Pforzheim, Germany, to manufacture fine polishing agents for gold and other precious metals. The company succeeded in producing “Paris Red”, which was considered the best fine polish for gold, but otherwise the polish company was slow to take off. Menzer then moved his company to nearby Karlsruhe in 1899 and systematically opened branches in foreign markets starting in 1921. Menzerna polishing compounds are used by some of Germany’s top automakers, including Mercedes, and many General Motors plants have begun using Menzerna. Menzerna polishes are still manufactured in Otigheim, Germany but demand in the U.S. has caused the company to open offices and a warehouse in New York for U.S. distribution. The products are imported directly from Germany to New York and from there shipped to our warehouse. 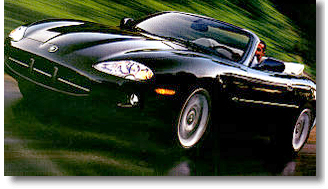 We are proud to offer Menzerna’s full line of automotive enhancement products. 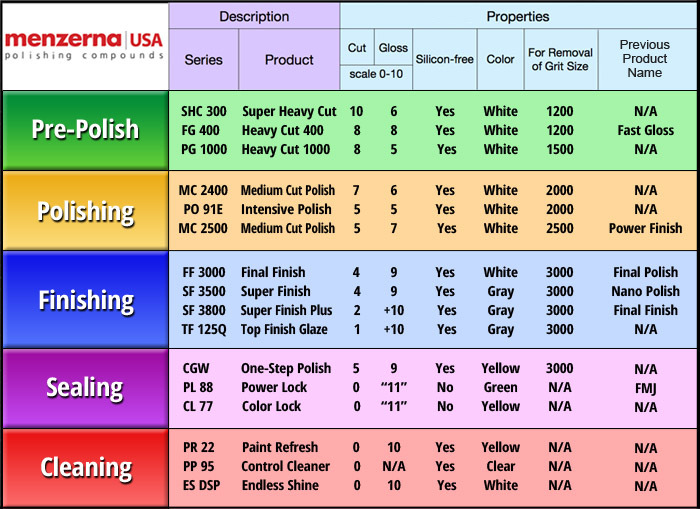 Why Menzerna Polishing Compounds Products? As enthusiasts become more sophisticated in their knowledge and use of car care products, they demand better products. They want to use the same products used by the car manufacturers. Menzerna’s polishes and compounds are used by so many manufacturers because they get a consistently premium product that allows them to produce consistent results on their cars. Consistency is the ultimate goal of mass production. Many over the counter (OTC) products use subpar abrasives, i.e., they’re chunky or irregular. Menzerna has some of the strictest standards in uniformity, size, and shape of their abrasives. All milling is done in house so they can maintain total control over their polishes from start to finish. That’s how you know you’re getting a superior product. Menzerna polishing compounds are capable of removing 2500 grit sanding marks with minimal or no loss of surface gloss! Besides being exceedingly surface friendly, the polishes are water-based and silicone-free. 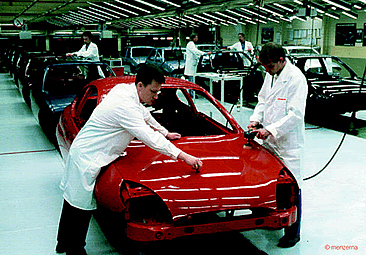 They are ideal for use on new paint finishes in a body shop or manufacturing environment. Menzerna polishes are formulated for quick and clean defect removal with minimal finishing work. Often you can go from compounding to wax application without additional polishing!